Do you want to help me maintain BenZornes.com? Pitch in a few bucks! 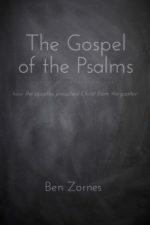 As a gift: get my free eBook “Gospel of the Psalms”!